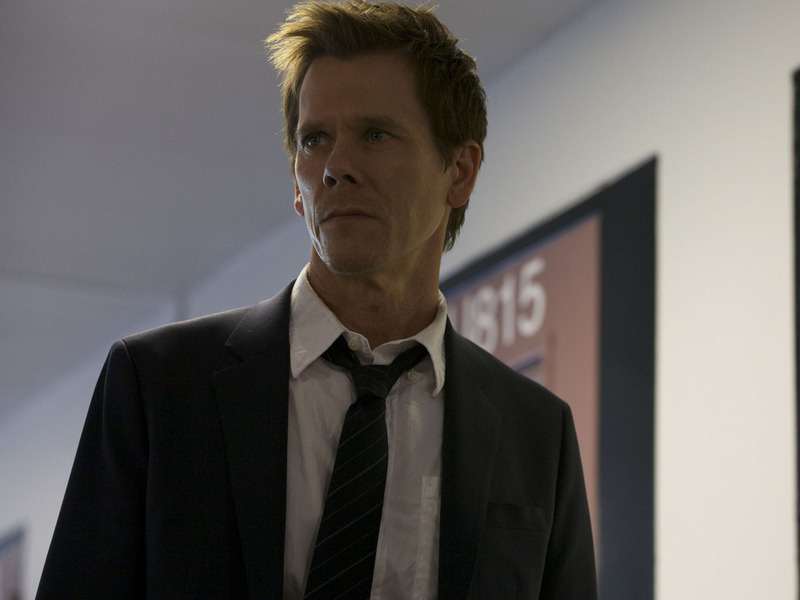 Kevin Bacon makes his prime-time TV series debut in "The Following"
Kevin Bacon will hit the small screen Monday in "The Following," a new psychological TV drama from "Scream" and "The Vampire Diaries" creator Kevin Williamson. The 54-year-old actor portrays Ryan Hardy, a former FBI agent who returns to work to track down killer Joe Carroll and a cult of believers. "When I was trying to find something to do on TV, I knew that I wanted to do the hero," Bacon said, reports The Philadelphia Inquirer. "Whatever kind of hero that was. You know, I wanted him to be complex . . . to be a complicated character." Filmed in New York, "The Following" also stars James Purefoy, Shawn Ashmore, Natalie Zea and Annie Parisse. Bacon has largely worked in films, but that doesn't mean he's a complete stranger to television. The Philadelphia native had a stint on the daytime soap, "Guiding Light," in the early '80s and scored a Golden Globe for the 2009 HBO TV movie "Taking Chance." When asked by Metro if "The Following" is something he sees doing for a long time, Bacon said, "Yeah, but what do I know?" He then pointed out that he's done many movies, adding, "and how many of them are hits - 2 percent, 5 percent? So I've made a lot of bad choices I'm not someone who thinks too carefully about what the long-term implications are." Hence, the "Six-Degrees of Kevin Bacon" game. "The Following" airs Mondays at 9 p.m. ET on Fox.